I Miss Mummy tells the true story of Alice, aged four. Cathy is expecting Alice to be brought to her by the social services at any moment, but the social worker phones. Alice has been snatched by her mother and the police are looking for them. Alice’s mother is drug-dependent and mentally ill. Cathy spends an anxious three days before Alice is found by the police and brought to her late at night. Alice begins talking about her mummy whom she loves dearly despite all that has happened. But Cathy is horrified when Alice tells her that while she was missing she slept outside - with ‘the wolves’.
" 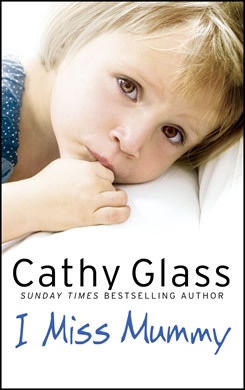 Sunday Times best-selling author Cathy Glass returns with tear-jerking tug-of-love fostering memoir." " I Miss Mummy is a fantastic read - I read it in a day. " "As always with Cathy's books this one keeps you on the edge of your seat right to the end." " British author Cathy Glass scored a rare 'double' this week after two of her titles reached the Top 20 bestselling list." " As always Cathy does not fail to deliver a brilliant piece of work ."